Ghost tour of Prague offers you some pretty true dark stories! Let´s take a walk to the Prague’s dark past, through narrow, cobbled streets and winding lanes where murderers, alchemists, monsters, ghosts, and spirits once walked. You will be taken away from the bustle and noise of the Old Town Square into one of the eeriest parts of Prague, once a den of poverty, plague and magic, an area often overlooked by tour guides yet full of history, intrigue and atmosphere. You’ll hear stories of death and betrayal, dark arts and demonic visions. Learn about the restless spirits said to roam amongst the beautiful architecture of the Old Town and who knows...perhaps you’ll even meet them face to face! Hear the tragic stories of the house of death. Learn about secrets of the Alchemists lair. Walk in the same Old Town streets where a procession of ghosts passed by. 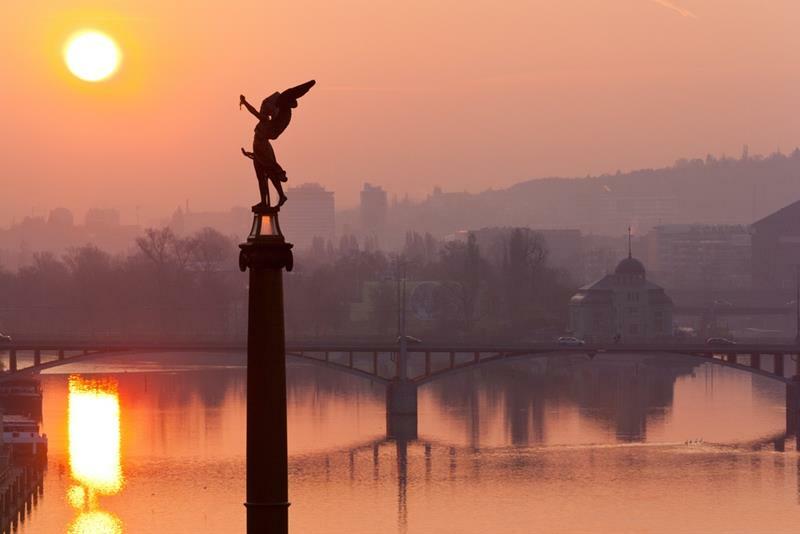 Experience a different side of Prague from the regular historical tours. Choose from wide offer of sightseeing tours in and out of Prague. The Old Town Square, surrounded with historical buildings and magnificent churches, is Prague´s oldest and the most important square. The monuments such as Old Town City Hall with Astronomical Clock, Church of Our Lady before Týn or Gothic Stone Bell House are a must see for all lovers of history, architecture and beautiful sites. is world famous for unique medieval Astronomical Clock decorating its front side. You can see a parade of 12 apostles appearing every hour in the windows. dates back to 14th century. It is the Prague´s second most important church. Combination of Gothic style with Baroque decoration in the church interior is just breathtaking! Walt Disney is said to draw the Sleeping Beauty Castle as he was inspired by the Týn Church towers. You are more than welcome to pop into our Via Musica shop located right by the church! belongs to the most beautiful Baroque churches in Prague. Why? Come and see for yourself! is an ancient Gothic palace which goes back to 13th century. It was probably built for the royal family, and it is said that Emperor Charles IV was born here. belongs to the most beautiful Rococo buildings in Prague. Franz Kafka used to attend the German speaking high school located here in 19th century. Today, the Kinský palace is a seat of the National Gallery. The monument of Jan Hus, famous Czech protestant reformer who was burnt as a heretic in 1415, is situated on the Old Town Square since 1915. Since the middle ages, the Old Town Square used to be the main Prague´s square and market place where exotic goods were sold. It had many names during the centuries: the Big Square, the Old Market or the Large Old Town Square. The present name comes from the end of the 19th century. The Square used to host knight tournaments, celebrations, artistic events, etc. It witnessed many crucial historical events such as the election of Jiří of Poděbrady as the King of Bohemia in 1458, executions and fightings. Demonstrations, marches and parades take place on the Square even today. The Jewish Quarter in Prague can be found between the Old Town Square and the Vltava River. Its history goes back to the 13th century, when Jewish people were ordered to vacate their homes and settle in one district. The Jews were banned from living anywhere else in Prague for centuries and many people then arrived from Moravia, Germany, Austria and Spain. Fortunately, most of the significant historical buildings were saved from destruction, and today they remain a testimony to the history of the Jews in Prague. They form the best preserved complex of historical Jewish monuments in the whole of Europe. There are six synagogues in the Jewish Quarter, including the Spanish Synagogue and Old-New Synagogue, the Jewish Ceremonial Hall, and the Old Jewish Cemetery, the largest one in Europe. The monuments luckily survived the Nazi occupation since Adolf Hitler decided to preserve the Jewish Quarter as a “Museum of an Extinct Race”. This was a great way to tour the city on our first evening in town. The guide was an excellent story teller. Very informative and great fun.